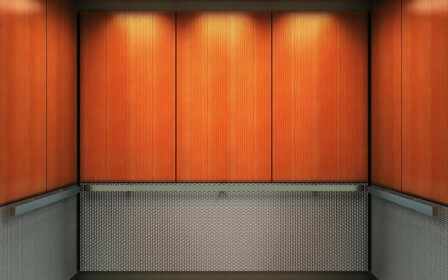 Your elevator cab is a meaningful touchpoint for your building’s tenants, customers, and employees, yet when buildings are remodeled, elevator cabs are often overlooked. An updated elevator cab can blend into the surroundings and seamlessly transition your passengers throughout the building. 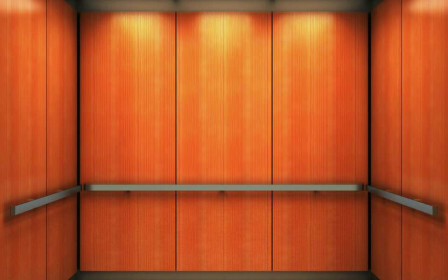 From panel layouts, lighting options, and finishes, the elements you choose for your elevator can evoke the same environment as the rest of your space so your guests have a thoughtful, well-designed experience. Our panel layouts are fire-rated, compliant with elevator codes, and created with the most durable long-lasting material from Wilsonart® Laminate and Rigidized® Metals Corporation. 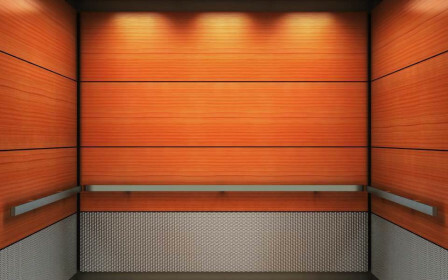 No matter the panel layout, you will receive the highest quality durable surfaces in your elevator cab. The laminate and metal plate finishes are popular examples. Any non-premium laminate and standard mill-produced finishes can be used as part of our standard cab pricing. Pictured handrail is 2-inch flat satin stainless steel. A tubular handrail is also available. All ceilings are compliant with ADA and elevator codes and have the option of utilizing energy efficient LED fixtures.